Work From Home Warnings Insured Profits Review – Losses Ensured! Insured Profits Review – Losses Ensured! ​Wouldn’t you love it if you could do trading without having to worry about whether your trade wins or loses? Essentially you could flip a coin a hundred times, and if fifty win and fifty lose, you make a big profit. What if you still make a big profit even if 90 win and 10 lose? Does that sound great? Well that’s the general pitch behind Dave Name’s Insured Profits program. It’s another binary trading software program, but this time with a fundamentally different approach. The big question that this Insured Profits review will answer; will this different approach end differently? Or will it just be another way for you to throw your money away? What Are Binary Trading Programs? A Binary Trade is where you make a bet on which way a particular stock or currency will move over a small time period. If you think the price will increase, you bet a “call” and if you think it will decrease you bet a “put”. If you were right and the price moved in the correct direction, you win! Insured Profits is the next generation of binary trading products. Instead of focusing on getting more winning trades than losing trades, it focuses on getting maximum profit from your winners and minimal losses from your losers. This means you don’t have to worry about how much you win or lose, because any combination of wins/losses will result in you making a profit. That’s incredible. Unfortunately it’s not really going to work for you. First Off, What’s Good About Insured Profits? IP has one thing different from the other Binary Trading programs out there; it talks about the payout system most brokers use. Usually when you place a bet with a broker, you are only going to win 75% of the winnings for yourself, and when you lose, everything is given to the brokerage. Let’s say you’ve placed ten bets this way. It’s likely that 5 won and 5 lost. If each bet was $20, you would win $15 five times, and you would lose $20 five times. In total, you’d be down $25. Most Binary Trading programs out there will tell you that they’ve “cracked” the system and created software which is right 90% of the time. This means that you’ll win 9 times and lose once, which using the example above, would mean you won $115. Obviously you’d be trading on a much larger scale, so would be dealing with a few more zeroes. The problem with these programs is that they don’t work. There’s no magic software to crack the code. Binary Trading is just tossing a coin and having a 50-50 chance of winning. You can’t make software to “predict” a coin toss, and you’ll never be able to. What Insured Profits claims to do then, is exploit the brokers themselves. By “insuring” your bets, you will now win the full $20 when you win, and only lose $2 when you lose. That means that you will be making mega profits using the above model. What’s more, the software will always assign the winning bets to the majority and the losing bets to the minority. What this means is that if you flip a coin 100 times, and 80 of them are right and 20 are wrong, the 20 will be the losers, and the 80 will be the winners. What amazing software right? If you are confused by this, that’s because you are smart. It’s confusing because it doesn’t really make sense. c.) Automatically assign winning trades to whichever result occurs the most, be it a call or put. (This is done with time travel apparently). Part C is what really proves the product is just another useless software trick. There’s no way that you can place 100 bets then decide which way to go AFTERWARDS. How can you assign winners or losers to bets that have already taken place? That’s like choosing your lottery numbers AFTER you’ve seen the draw. Nice idea, but a little bit ridiculous. So You’re Saying It Won’t Work? I’m saying the software likely doesn’t even exist. Binary Trading is just a case of making a 50-50 bet about the direction of a trade, then either winning 75% of the win, or losing 100% of the loss. You can’t “insure” this so that winners get 25% extra (that’s not how insurance works), and you can’t “insure” this so that losers only lose $2. In fact you can only get about 5% back on a loss. Software isn’t going to change the way a broker works. So Why Have They Gone To All This Bother? Brokers like Banc de Binary (The one Insured Profits recommends you join) pay a commission for getting people to sign up and deposit cash with them. When you use the Insured Profits platform to sign up to Banc de Binary and deposit a MINIMUM of $250 USD into your account, Banc de Binary will pay the Insured Profits creators a one-time commission of up to $500. You then won’t be able to withdraw your funds until you’ve made a minimum number of trades, which will see your $250 slowly diminish to zero. The software won’t do anything magic for you, it’s just a gimmick to get you to sign up. Surely They Can Get In Trouble? Well yes and no. The problem is, Banc de Binary haven’t lied to you, Insured Profits have. It’s not Insured Profits that you’ve given money to though, it’s Banc de Binary. You can’t get a refund on the deposit, and the Binary Trading industry isn’t heavily regulated, especially online. Essentially you are screwed. The only weapon we have is sites like IveTriedThat where we can expose these products for what they are. Insured Profits will be back under another name though. Why Did You Say IP Was The Next Generation? As people wise up to the fact that Binary Trading is just coin tossing, and you lose money even when you win half the time, these people need to come up with new ways to convince you to leave a deposit and earn their commissions. IP has positioned itself AGAINST all the other shady products by going a different angle, the “It doesn’t matter if you are right are wrong” angle. They are clever, but when you dig beneath the surface, they are still operating the same way. There’s no such thing as automated software that will win you millions. If there was, I wouldn’t have written this review. I’d be on holiday with the product creators instead of slamming them. I’ve said it before about Binary Trading products and I’ll say it again. After leaving my name and email every time i clicked anything on any web page, in any email (didn’t matter if they had no affiliation with them) it would take me to to the Binary Boom page. I signed up 250 pounds with these guys. Placed 4 trades with them. Then tried to contact them because there was a problem with the software. I wouldn’t allow me into the dashboard. All it did every time I logged in was take me to the ” tutorial”, which I didn’t want. Ive now sent ten emails but NO REPLY, thus the visit to this page. As it turned out, I made 16.80 pounds on my 4 trades. I won 3/4 Lucky I guess. 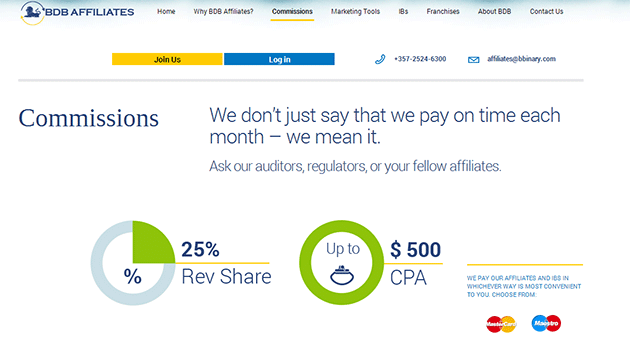 Insured Profits is the most recent joke orchestrated by the same folks who are behind Binary Matrix Pro and BinaryVerify.om which they created in order to provide a 3rd party fake verification site to legitimize their franchised scams. All I can say is oh dear!!! Be carefull with this people IS A BIG SCAM,,ANOTHER FRAUD, I lost 500 in one week..
is just another 50/50 software, BE AWARE!!!!!!!!!! !